Maebhe specialises in the rehabilitation of musculoskeletal conditions through manual therapy and specific exercise prescription. She has extensive experience in the treatment of chronic neck pain, whiplash associated disorders and headaches. Maebhe has also gained much experience in the treatment of women s health problems including the management of incontinence, pregnancy related conditions and chronic pelvic pain. Maebhe Graduated from Trinity College Dublin with a first class honours degree in physiotherapy in 1996. 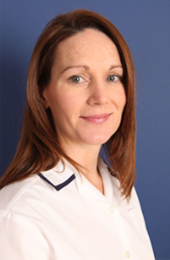 Initially she worked in hospitals in Manchester and Dublin gaining experience in specialist areas of physiotherapy. Maebhe was awarded a Masters of Musculoskeletal physiotherapy from the world renowned University of Queensland, Brisbane, Australia in 2000. She has worked in private practices in Wexford, Kildare and Dublin since 1999 before setting up Wicklow Physiotherapy Clinic in 2004. Maebhe completed her membership exams of the Irish Society of Orthopaedic Medicine in 1999 and served on the committee for a number of years. She was a member of the medical committee of the Special Olympics in 2003 when the games were held in Ireland and was responsible for the coordinating the care of the athletes given by over five hundred physiotherapists over the course of a week. Barbara Trant is a fully licensed Chartered Physiotherapist with extensive experience in neuromusculoskeletal physiotherapy, orthopaedics, sports injures and foot conditions €“ including orthotic prescription. Barbara has over 13 years clinical experience in hospitals and large private practices both in Ireland and Australia and has worked as a physiotherapist for Connaught Rugby as well as Galway Senior County Hurling and Camogie Teams. Barbara graduated in 2000 with an honours degree in Sports Rehabilitation from St. Mary s University, Strawberry Hill, London and in 2005 obtained an honours degree in Physiotherapy from Royal College of Surgeons, Dublin. She subsequently developed a particular interest and expertise in the management of more complex musculoskeletal injuries and persistent spine disorders after completing a Master s degree in Clinical Physiotherapy Curtin University, Perth, Australia (2011), where she graduated with first class honours. She also founded ‘neckcare.ie’ in 2014, a specialist service that provides comprehensive care for neck-disorders, headaches (including migraines), dizziness and more complex conditions including whiplash associated disorder. Barbara is a qualified acupuncturist and often uses western acupuncture/dry needling as an aid to accelerate recovery. Barbara is passionate about her job and providing the highest standard of care. She will go that extra mile to help resolve your pain or dysfunction, guide you through the recovery process and help you get back to enjoying your life.